This is through a soon to be launched mobile apps called Abizo and Kaizala for Android, iOS and Microsoft phones. The apps allow parents of vaccinees to report the condition of their children. It aims to provide vaccinees a prompt response and immediate medical attention by the local government. “ This is not mandatory… Parents who are interested in tracing and monitoring the state of their children, whether away from home or at school can take advantage of these two kind of apps,” explained Education Secretary Leonor Briones. “If there’s a parent (who) downloaded the app and registered the name of his or her child, lalabas doon kaagad iyong names. If he provided the LRN then verified agad na siya iyong parent. If he didn’t provide, that report will be segregated then throwback again to DOH for validation. Kapag na-verify then we include them under the category of private sector,” added Education Undersecretary Alain Del Pascua. The monitoring apps are also expected to help identify areas that have high incidence of Dengvaxia vaccinees who are getting sick. “There are a checklist of symptoms that they can just say, may lagnat, pannakit ng ulo…madali na. Sasabihin na lang doon saan mo dadalhin iyong bata. Anong service delivery, part of the network mo siya dadalhin,” said Health Secretary Francisco Duque III. The Department of Education (DepEd) and other stakeholders assured that the National Privacy Act will protect the data sharing between DepEd and the Department of Health (DOH) in using the mobile apps. 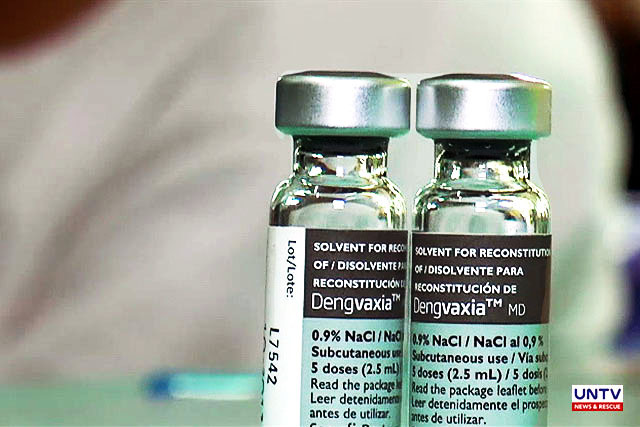 The Food and Drug Administration has permanently revoked anti-dengue vaccine Dengvaxia’s certificates of product registration (CPR) due to the continued failure of manufacturer, Sanofi Pasteur Inc. to submit post-approval commitment documents. FDA Director General Nela Charade Puno on Tuesday cited in a statement the French pharmaceutical firm’s disregard of the agency’s rules and regulations as reason for its CPRs’ cancellation. “Its brazen defiance of FDA’s directives and its continued failure to comply leaves us no other recourse but to impose the maximum penalty of revocation of the CPRs covering the Dengvaxia products,” Puno said. The revocation of the Dengvaxia’s CPR makes its importation, sale and distribution illegal in the Philippines, according to the FDA. Dengvaxia’s CPR was initially suspended for a year since December 29, 2017 after Sanofi’s failure to comply with post-marketing requirements. QUEZON CITY, Philippines – The House Committee on Good Government and Public Accountability on Wednesday (February 6) recommended the filing of graft charges, technical malversation and grave misconduct against former president Benigno Aquino III for allowing the use of Dengvaxia in government immunization programs that allegedly caused the death of several children. Also implicated were former Budget Secretary Florencio ‘Butch’ Abad and former health Secretary Janette Garin. 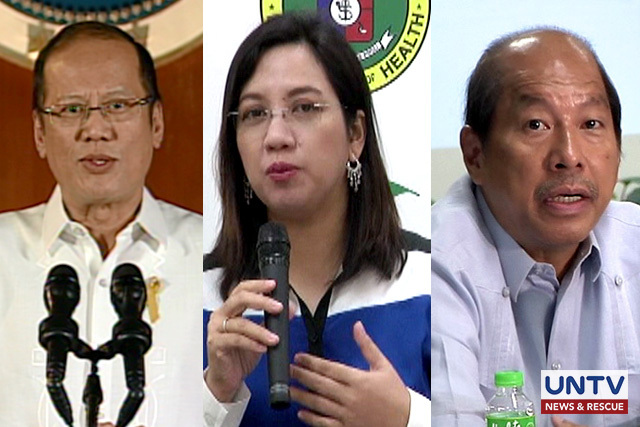 Based on the approved committee report, the three were among other government officials who conspired to procure the controversial anti-dengue vaccine despite lack of certificate of product registration and safety assurance from authorizing bodies. House committee chair Rep. Xavier Romualdez argued that Aquino violated the law when he allowed the use of P3.5 billion in public funds to procure Dengvaxia vaccines in 2015. Meanwhile, Dinagat Island Rep. Kaka Bag-Ao questioned the committee’s recommendation arguing that the House inquiry has not established proof that the said officials’ actions indeed violated the law. But Romualdez stood by the House committee’s report. Several congressmen proposed charges against the executives of Dengvaxia manufacturer Sanofi Pasteur as well as former health Secretary Paulyn Ubial. The UNTV News Team has sought the statement of those involved such as Aquino, Garin and Abad but to no avail. 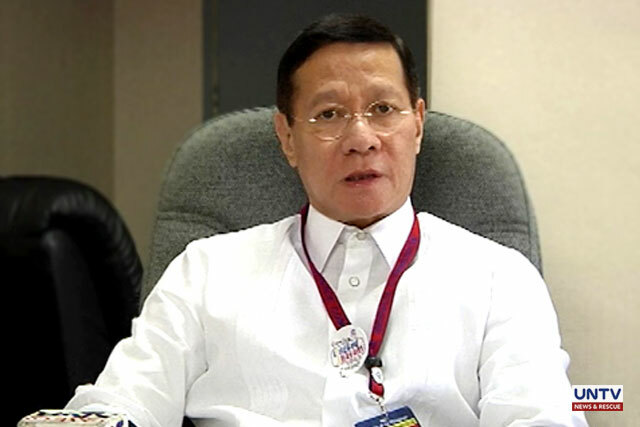 MANILA, Philippines — Health Secretary Francisco Duque III expressed dismay over Public Attorney’s Office (PAO) Chief Persida Acosta’s continuous attacks on the Department of Health (DOH) over the Dengvaxia controversy. In a statement released on Thursday (January 31), Duque cited Acosta’s recent interview where she accused the DOH of paying off families of alleged Dengvaxia victims P50,000 each to drop charges. “This is malicious, baseless and a complete lie,” the Health Secretary said. “Baseless statements like these cause serious damage to our reputation as the primary government entity mandated to protect the health of all Filipinos,” he added. The official said the DOH has tried to reach out to government agencies, including PAO, to resolve the issues surrounding the controversial anti-dengue vaccine. However, Duque said, the PAO led by Acosta “refuse to cooperate and continue to attack and throw baseless claims and accusations at the Department of Health” and the Health Secretary’s person. Duque, along with other former and current officials of the DOH and executives of Dengvaxia manufacturer Sanofi Pasteur, is facing charges over the deaths of children who received the anti-dengue vaccine. Duque noted that Acosta’s accusations resulted in “a decline in vaccine confidence and a rise in cases of measles and other vaccine-preventable diseases” in the country. According to World Health Organization (WHO) Philippines, measles cases in the country skyrocketed to 17, 298 cases from January to November 2018, a staggering 367% increase than 3,706 cases in the same period in 2017. Even President Rodrigo Duterte himself urged the public to get vaccinated and “not to be lulled and be complacent” as children, especially infants, are susceptible to viral and bacterial diseases. In his statement, Duque called on his fellow public servants to work together and “collectively find solutions to the problems” instead of creating divisions. “We must work around facts backed by reliable evidence,” he said implying of Acosta’s accusations. He also lamented that despite the DOH’s efforts to help the Filipinos, especially the poor, as the primary health care provider in the country, their actions are being “twisted” and “taken negatively”. He cited instances that Health staff who are facilitating the support groups on the ground “are being bullied and harassed at every instance”.